Let's get the party started with a few fabulous posts that were linked up last week. Here are four sewing ideas that will inspire beginners and experts alike! Anna of In the Playroom shared these darling Printable Sewing Cards from Tiny Me! Elizabeth from I Sew, You Sew linked up a lovely Eyelet Dress with Sash that is perfect for spring! Leslie of The Seasoned Homemaker taught us about Color Value in Quilts. Look at her gorgeous quilt! 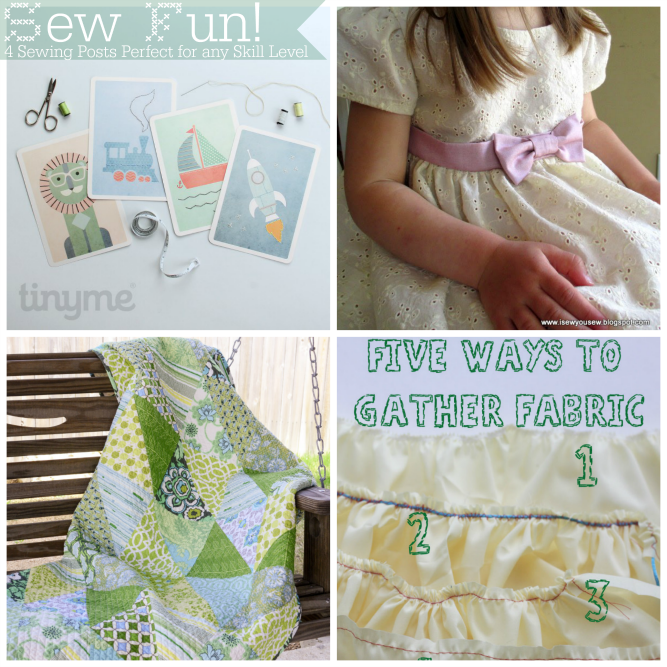 Emily from Nap Time Creations showed us Five Ways to Gather Fabric! Now it's time for this week's party! A Little Bird Told Me that you've been doing some amazing things! I'd love for you to share! 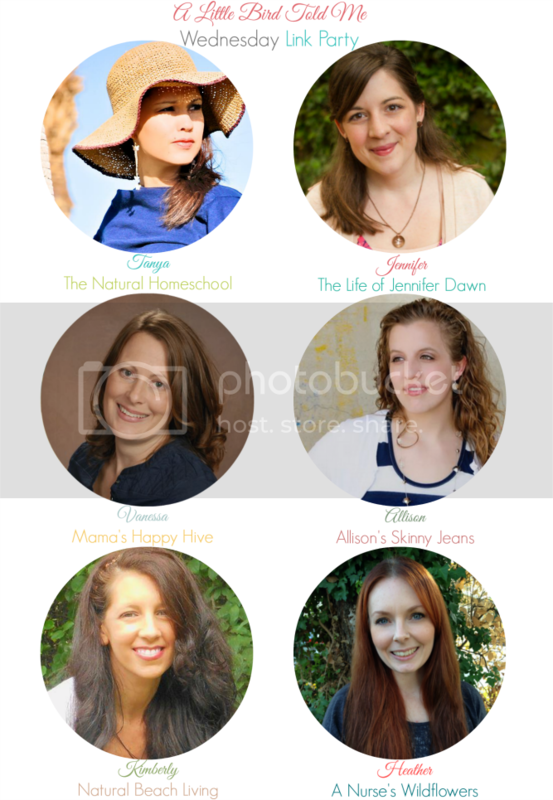 Link up a recipe, craft, home decor project, homeschool post, activity/craft for kids, or any other post you're proud of! Your post will be shown on each host's blog where we will individually pick features each week. We're teaming up to bring you an even bigger and better party!